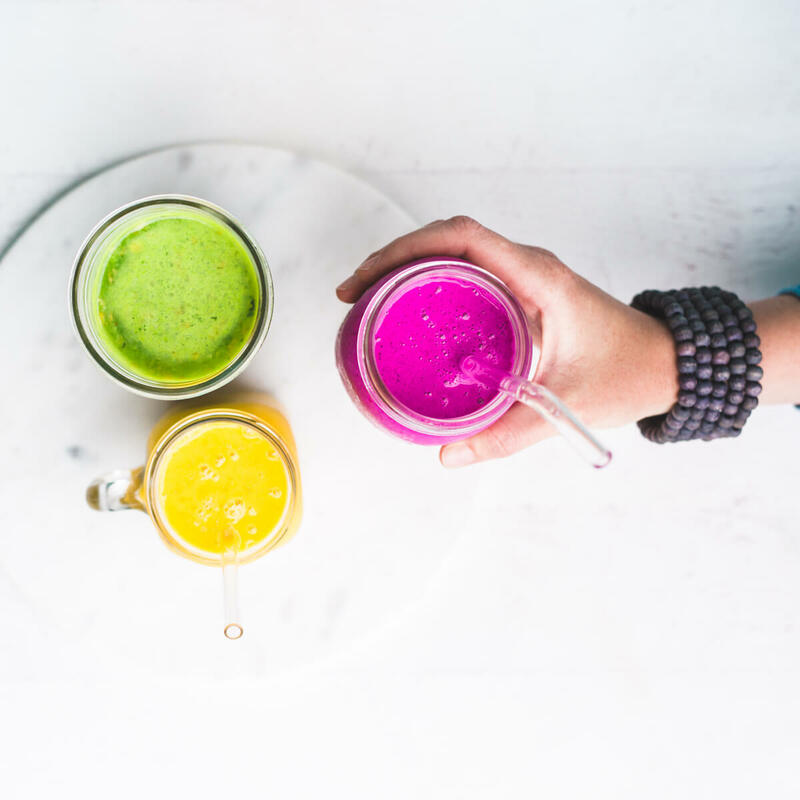 This smoothie for bloating recipe gives you all the vegetables, protein, & healthy fat your hormones are craving during menopause, but it's so easy to digest you'll skip the bloating while it pampers your digestive system. Click Here to get my top tips for balancing your hormones and getting relief from all your perimenopausal symptoms and for feeling your best after menopause. Especially during & after menopause? 1. Smoothies often contain raw vegetables, which are hard to digest. It's common for our digestive energy to decline during menopause. So if we eat foods that are hard to digest... If there's not enough digestive energy and fire and va-va-voom to fully digest them, they lead to partially digested food in the intestines, which causes bloating. If you have certain imbalances in your digestive system, fruits & veggies high in FODMAPs will trigger bloating no matter how "healthy" they are. So you need something like this smoothie for bloating that avoids all that. 3. Smoothies are often icy cold. If your digestive energy (your digestive fire) are a little low, this can slow down your digestive energy (your digestive fire) making that particular meal much harder to digest. This can easily lead to bloating, decreased metabolism, and weight gain. This smoothie for bloating is also a low carb, Paleo smoothie for women! Why are smoothies so good for hormone balance during menopause? Can smoothies really help you get relief from hot flashes, night sweats, brain fog AND weight gain? 1. Having a big enough percentage of vegetables and fruit in your diet is key for hormonal balance and menopause relief, and smoothies are a great way to get extra servings of veggies & fruit. Vegetables and fruit are cooling. Without them it's hard for your body to get ahead of hot flashes and night sweats. Veggies and fruit also are anti-inflammatory, which is the best thing you can do for your overall health and hormonal balance. Veggies and fruit also keep your bowel movements healthy and help you detox extra estrogens out of your body efficiently through your bowel movements. A wide variety of veggies and fruit supports your liver function, which is key for hormonal balance. 2. Having enough healthy fat in your diet is key for hormonal balance, and smoothies are an easy way to get more healthy fat into your diet. Having If you have certain imbalances in your digestive system, fruits & veggies high in FODMAPS will trigger bloating no matter how "healthy" they are. 3. Having enough protein in your diet is key for hormonal balance and menopause relief, and smoothies are an easy way to get more protein into your diet. This special smoothie for bloating helps you get all that without the digestive distress. Smoothies are a great way to get the veggies, protein, and healthy fats your hormones are craving. Use this smoothie for bloating recipe to get all that without the digestive upset. Is this smoothie good for my hormones before or after menopause? YES! This hormone-friendly smoothie can also help extend fertility, help with peri-menopausal symptoms, and help maximize your hormones after menopause. 1. Before perimenopause, this hormone friendly smoothie can help maximize and balance hormones for an easier cycle and extended fertility. It's common for our digestive energy to decline during menopause. So if we eat foods that are hard to digest... If there's not enough digestive energy and fire and vavavoom to fully digest them, they lead to partially digested food in the intestines, which causes bloating. 2. Post menopause this smoothie is perfect for optimizing hormone levels and protecting your health. Post menopause you want to help your body keep what's left of your female hormone levels as high as possible. This helps protect your heart and blood vessels, your brain, and your bones. It also helps keep your skin plump, enhances muscle tone, and aids your metabolism. To maximize your diet for hormone balance, menopause relief, and vibrant aging... .
1. Try making this smoothie for bloating! Adding this smoothie to your diet is a great place to start. 2. Get my top tips on how to optimize more of your diet for hormonal balance quickly and naturally. Click Here to sign up to get my top tips. 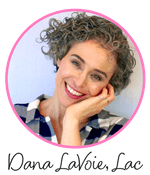 You'll also get access to my free guide on getting started with the best diet for your hormones and you'll get an invitation to a free online class on the same topic. By the time you're done you'll know so much more about how to easily balance your hormones with certain foods each day! 1/4 cup almond milk (or hemp milk or coconut milk) Warm the milk before adding if any of your ingredients are frozen. Add everything to the blender and blend. Sprinkle with your favorite toppings and enjoy! If any of your ingredients are cold or frozen, heat up the milk before adding it to take the icy chill off your smoothie. The right diet is FOUNDATIONAL for balancing hormones and getting relief during & after menopause. In fact, the right diet is the most important thing you can do for all your hormonal symptoms and your hormonal health. Just click the pink button below to get started now. Learn to optimize any smoothie for menopause relief - CLICK HERE for the article with the details.